Conquer the highest mountain in Thailand and take in the previous views around Doi Inthanon National Park, including the two pagodas dedicated to the late King Rama IX and the Queen of Thailand. Arrive at the royal twin pagodas, which were dedicated to the late King Rama IX and the Queen of Thailand. Enjoy the beautiful landscape around the pagodas as well as the panoramic views. Reach the peak of Doi Inthanon, which is also the highest point in Thailand. Take a short walk and enjoy the breathtaking scenery along the way. 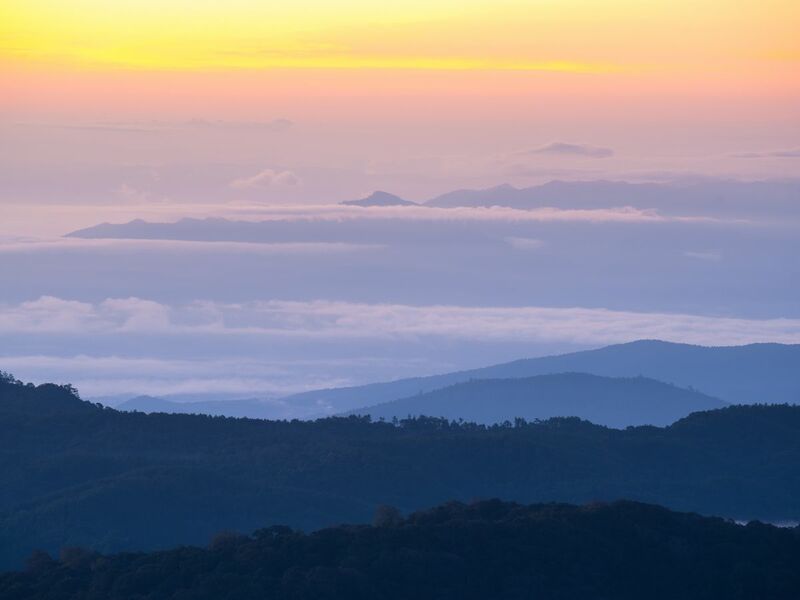 Since you're now in Chiang Mai, it is a great chance for you to visit the highest point of Thailand - Doi Inthanon which you'd see a very beautiful panoramic view from the top!